In some DanDomain themes, the same search-field is rendered multiple times, to be used for both mobile and desktop. 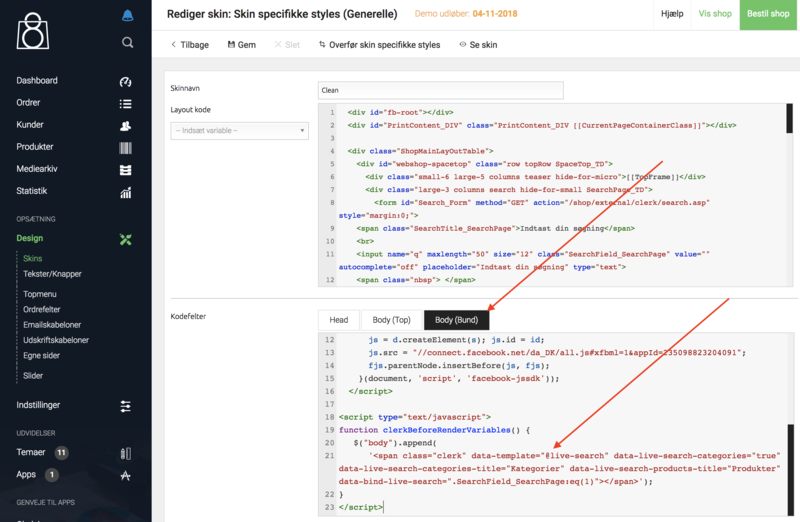 This can be handled by inserting a new Live-Search embedcode, using the App's built-in event-handling, to make sure its added after the search-field is rendered. Notice that you might need to change the last part of the embedcode in the .SearchField_SearchPage:eq(1) as it depends on the mobile search-fields placement in the DOM.